will be sent to this email address. By checking this box you agree to our Terms of Service. Charges represent a monthly automatically renewing subscription. Charges shall continue to be made on the membership account unless the subscription is cancelled fifteen days prior to the expiration of that month. We are offering this service currently to their members. It is subject to change and modification in appearance, functionality, and reliability without notice. Any content entered may be subject to deletion or dysfunction without notice to the user. We make no representation or guarantee regarding the functionality, reliability, or continuance of service. Usage of this website and service by you indicates acceptance of the risks outlined above, and indicates acceptance of our standard Terms and Conditions of usage presented elsewhere. 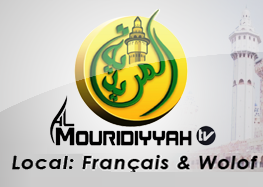 Sign Up & Start Enjoying Almouridiyyah TV on Your Roku, GoogleTV, Android, iOS(iPhone/iPad), PC/Mac/Mobile Devices with New DVR Feature. 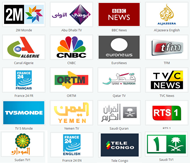 NEW - Popular African Channels included.